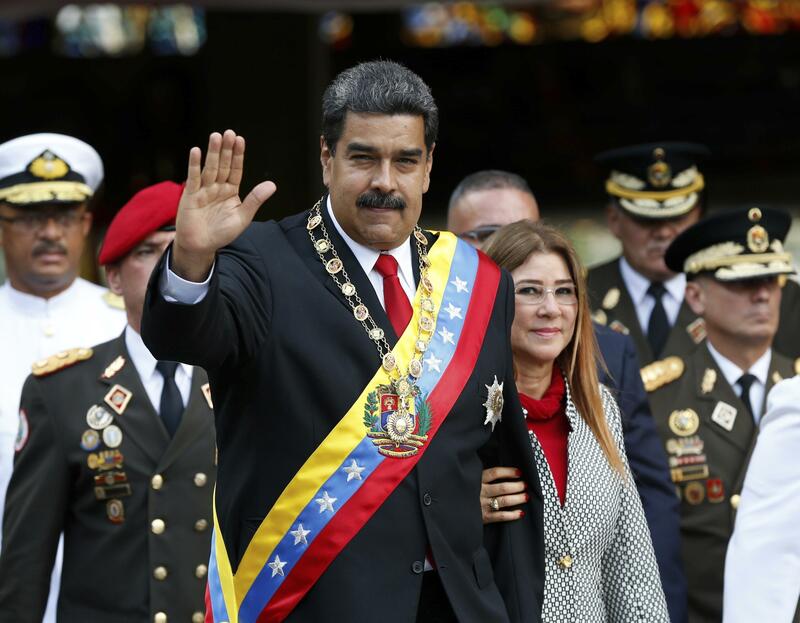 WASHINGTON – The Trump administration met several times last year and early this year with Venezuelan military officers purporting to be dissidents plotting a coup against President Nicolas Maduro, but ultimately rebuffed their requests for assistance, according to U.S. officials. President Donald Trump, both publicly and privately, has raised the possibility of U.S. military action in Venezuela, although aides have repeatedly dissuaded him, according to a number of officials and people familiar with the episodes, who spoke on the condition of anonymity to discuss foreign policy and intelligence matters. Maduro has frequently accused the United States of plotting with his opponents, and of economic and actual warfare against him. The outreach by the officers “highlighted the level of desperation” in Venezuela, and the Trump administration was eager to understand what was going on inside the armed forces, according to another person familiar with meetings. But “we had very little confidence in the ability of these people to do anything, no idea at all about who they represented, and to what extent they had not exposed themselves already,” the person said. “U.S. policy preference for a peaceful, orderly return to democracy in Venezuela remains unchanged,” the statement said. Trump has denounced Maduro, who took over in 2013 following the death of revolutionary leader Hugo Chavez, as a “dictator.” Maduro has twice been elected president since then in votes widely seen as fraudulent, and has gradually taken over virtually all legislative and judicial power and jailed numerous political opponents. Trump also raised the possibility of an invasion with Latin American leaders at last year’s United Nations General Assembly, despite efforts by McMaster and others to steer him away from the subject. The administration has imposed sanctions on a number of Venezuelan officials, including senior military officers. Officials have long said further measures are under consideration, including an embargo on Venezuelan oil. Despite sharply falling oil exports in recent years, Venezuela is the fourth-largest foreign supplier to the United States, which remains the largest purchaser of Venezuelan crude. China and Russia have extended massive loans to prop up the government. While some administration officials and outside advisers have pushed for more muscular U.S. involvement against Maduro, many have expressed dismay at the political opposition’s failure to mobilize a coordinated resistance, and at what appears to be fairly solid support for him within the military. Adam Isacson, of the Washington Office on Latin America, said few U.S. administrations would pass up the opportunity to meet with alleged coup plotters at least once, given the opacity of the Venezuelan military. “You’re trying to glean an understanding of a part of Venezuelan society, the military, that none of us knows very much about,” although the decision to meet several times posed a risk of becoming exposed and sparking a backlash in the hemisphere, he sad. A majority of Latin American governments have denounced Maduro, as has the secretary general of the Organization of American States. But all are aware of the unpopular history of U.S. military intervention in the hemisphere, and there is little appetite for a repeat.